What kind of Medium should I use? What are the best Mediums for Oil Painting? These are very popular questions. Yes, there are huge varieties of Thickeners, Thinners, Mediums and Vehicles to choose from. Too many choices can be confusing. Again, as in the case with Oil Paints – such a huge variety does not necessarily lead to the right choice. 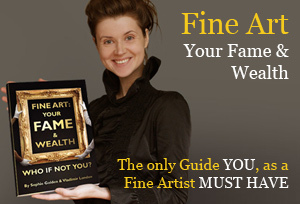 Confused Artists just grab the best looking product and use it sporadically throughout the process, without any idea that this can actually lead to deterioration of the painting, in short or long perspective. 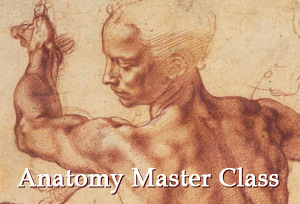 Let’s learn the main characteristics of some of the Mediums and try to understand how they work, what visual effect they produce, and the differences between them. Each Medium creates its own effect and looks differently after drying. Each Medium should be used at the right stage of the painting process. Ignorance in this matter can affect the look of the painted surface – for example, if the wrong medium is applied, the painting surface may sink, become muddy, or lose their colorful attractiveness. Anyway, the knowledge about the specific characteristics of Mediums increases the chance that you get the effect you desire, with no unpleasant surprises. Let’s start with Turpentine – this is a brilliant Diluent for Oil Paints in the first layers of painting. It thins the Oil Paint and make it “lean”. Turpentine is especially great for thinning Oil Paint in these three cases: when it is an Imprimatura – when we want to make our white primed background a bit off-white; or when we do a brush sketch with Turpentine diluted paint; or when we create the first layers of an Underpainting, when we block in the painting. 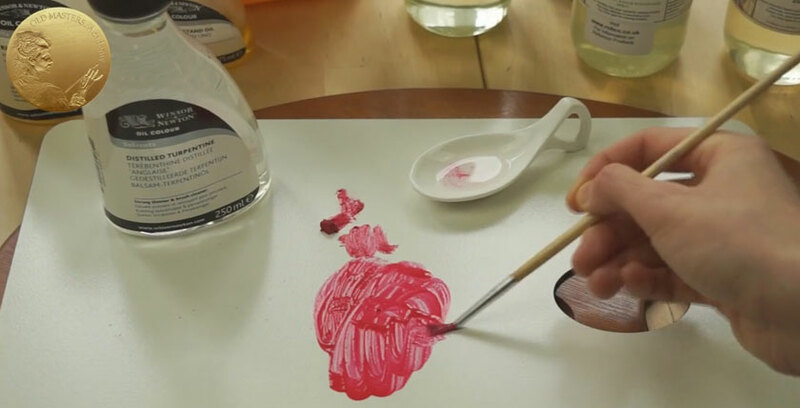 While Painting with Oils, Turpentine plays the same role as the water in watercolor painting. The first layers of an Underpainting can be executed with paint diluted so much that it resembles water color consistency. We may do this in the first layers but can’t do this in the upper layers, for the various reasons: first reason is – when you dilute Paint with Turpentine, especially in big quantities, the Paint Hue alters, so it’s difficult to predict how the colors will turn out when the paint dries. 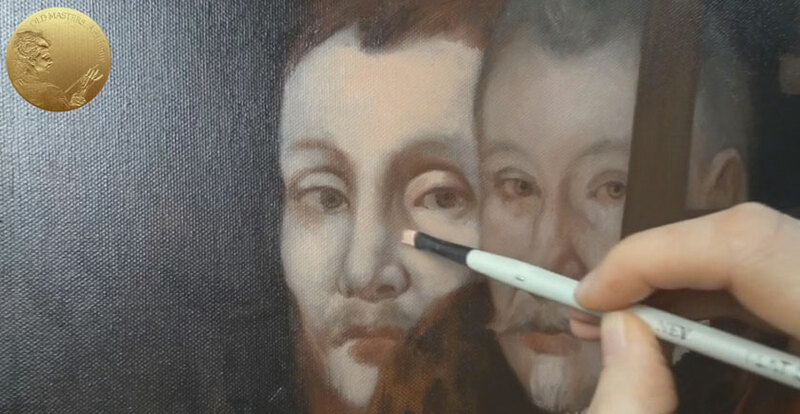 Such an alteration isn’t an obstacle at all in the initial layers of Underpainting – as an Underpainting doesn’t need to have the final, correct Colors. I remind you, that Underpainting is intended to be painted over, or rather glazed over, with upper layers. Another reason – we should avoid making thin upper layers of paint, generously diluted with Turpentine and watercolor like layers, is due to purely technical reasons – wilting and dimness of Colors increase when paint is diluted with Turpentine. There is also a high chance that Colors will become matte and chalky when dry. The usage of Turpentine in upper layers also highly violates the “Fat over Lean” rule. One more downside to generously diluting upper layers of paint with Turpentine, is that after the Turpentine totally and quickly evaporates, the thin layer of Paint can easily be scratched from well dried previous layers. It can be scratched with just your nail. Why does this happens? Because the thin coat of paint, after being diluted and degreased (become almost oil free), can’t adhere very well with the upper layers. At the same time, you can use Turpentine in small quantities as a diluent for Painting Mediums, such as Linseed Stand Oil; when you do Glazing. Turpentine may increase the flow of the viscous Stand Oil. But the Turpentine itself, in its own condition, as the only medium for Paint, only efficient and has its strengths in the first stage of the painting process. One more great advantage of using Turpentine in the beginning of the painting is it has the ability to accelerate drying time, so you can proceed with the painting quite soon. The completely dry condition of the Underpainting is an indispensable condition. The artwork will be preserved in an excellent visual and material state for centuries. The Turpentine for Oil Painting should be of the best quality. If you you doubt the quality of your Turpentine, you can check it by dropping a little bit of Turpentine on a piece of white paper and wait until it evaporates. There should not be any non-vanishing grease stains on the paper when the diluent evaporates. Any Artist Turpentine, made by a respectable art brand, will do a great job. For example, in the UK we have a popular Distilled Turpentine offered by Winsor & Newton company. Other ‘Turpentine’ products sold at DIY shops are suitable for home decorating, but in Oil Painting, they should only be used for cleaning tools. The same goes for Turpenoid and the Eco-Orange solvents that are low grade solvents – they are only suitable for cleaning tools. A Low Odor White Mineral Spirit is an alternative to Turpentine, it can be found in art supply shops. Some artists can’t tolerate the smell of Turpentine and replace it with a Low Odor White Spirit to avoid the fumes and odor. However, it is more expensive than general mineral spirits, as some of the harmful aromatic solvents have been removed from the product. However, it still has a specific smell. Everything I mentioned about Turpentine is completely applicable to Mineral Spirits – they can be used in the same cases as Turpentine. But there are some differences, between these two solvents, that you can feel while you work. 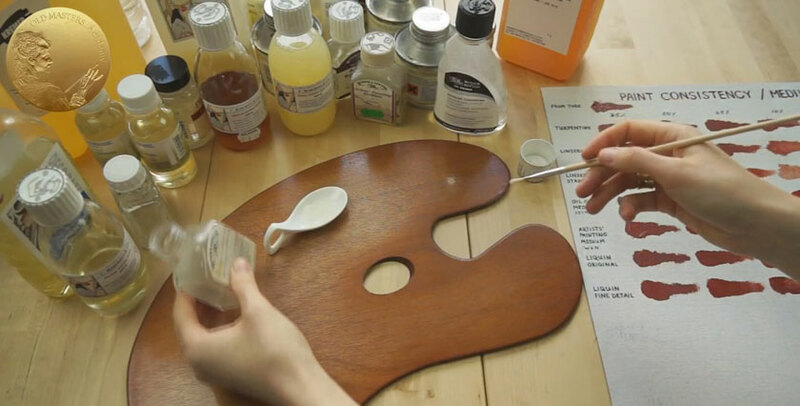 Turpentine is a more viscous substance, while Artists’ White Spirit has a more “watery” consistency, which influences the paint in mixes, making them fluid and less controllable. 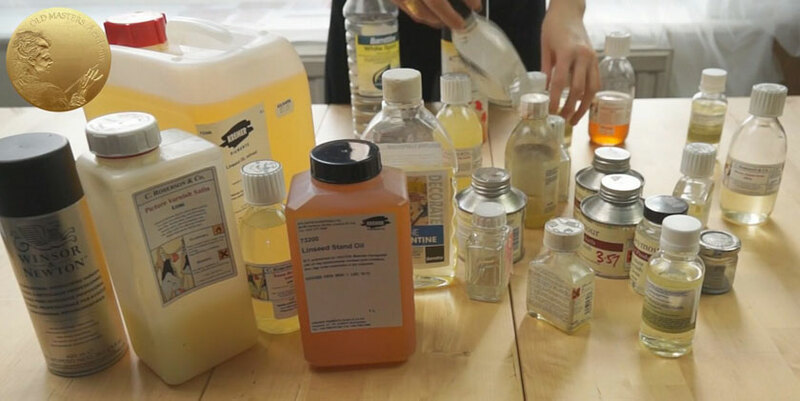 White Spirit also evaporates faster then Turpentine; it’s advisable to place a lid on the container when you pour your Diluents and Solvents while working. Also always keep bottles with any volatile mediums securely closed. Well, what if you do not want to use Turpentine or any other Diluent? It is perfectly up to you. It is not mandatory for you to use any Solvents or Diluents if you don’t find it necessary for your painting. The only thing you should be aware of is you shouldn’t use such fatty Mediums like Linseed Oils in your first layers. Just rub the Paint into the canvas while you block in your first layers; in the same way you do while Scumbling. 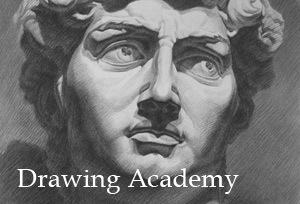 The main requirement is that you should spread it onto the canvas very thinly. This will ensure that the first layer of your painting will not have extra Oil and it will also be thin because you have spread out a small amount of Paint over a relatively large area of the painting. Needless to say your room should be well-ventilated and remember that Volatile Diluents are flammable.